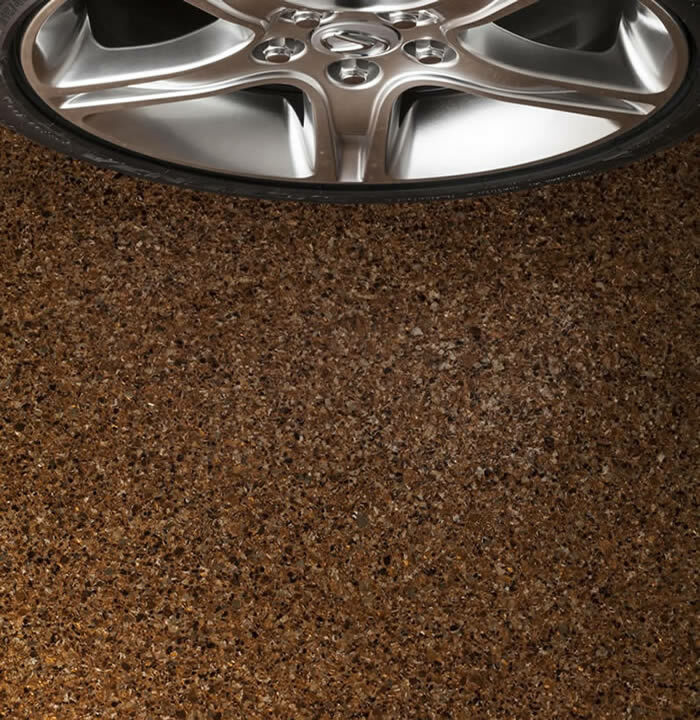 If you're looking for a little something extra for your garage, a PremierOne® Elements floor coating has the answer. 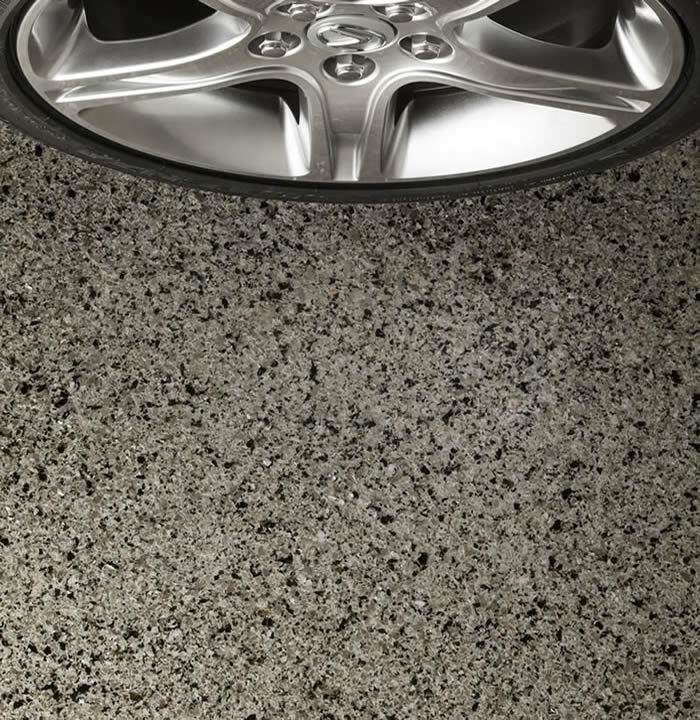 This exquisite floor has an added depth of richness from the inherent shine of 1/4" chips of genuine shaved rock. 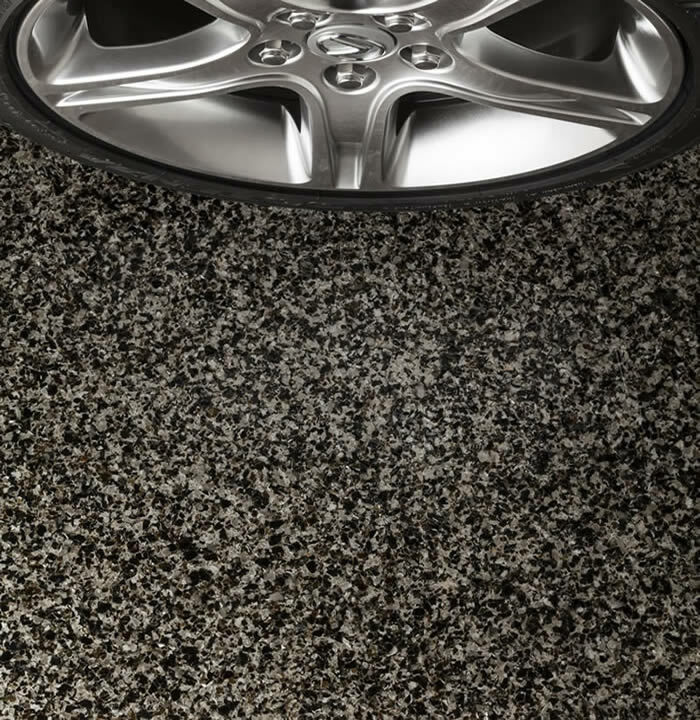 In six color choices, these chips add a natural metallic luster from the mica content of the stone and this bounces light around, creating truly impressive shine and highlighting the slightly textured, slip-resistant surface. Cars and other vehicles can safely park without damaging the industrial-strength surface. Glams up the laundry area and makes that chore more of a pleasure. A crafts or hobby area stays cleaner with this low-maintenance floor, a quick sweep with a broom or dust mop is all it needs. Spills wipe up without a trace; repels water, chemicals, auto fluids, drinks and food spills. 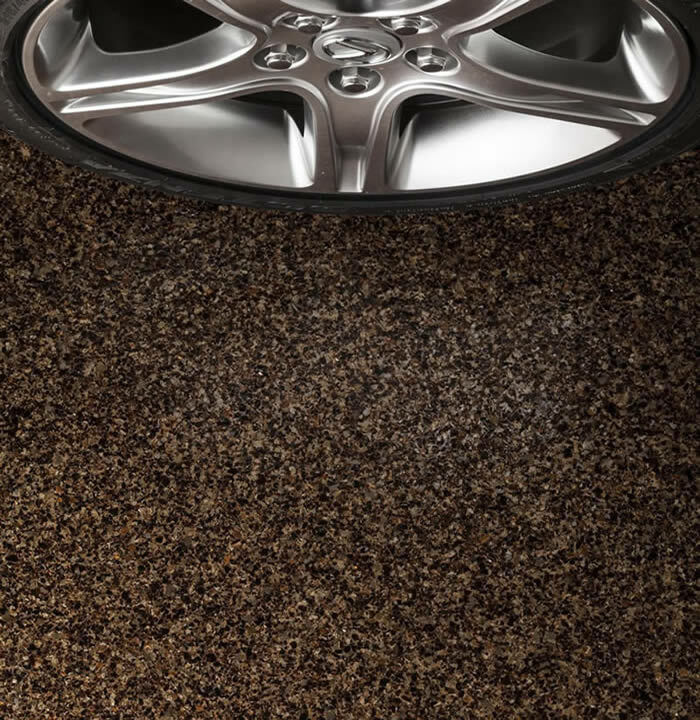 Guaranteed against chipping, peeling, cracking or fading for as long as you own your home. 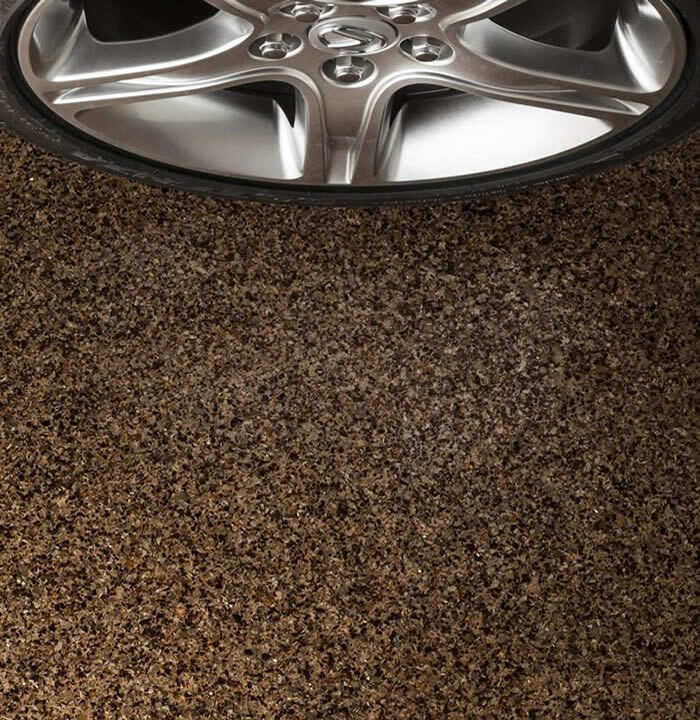 And with PremierOne floor coatings, you don't get a light sprinkling of chips, creating uneven color distribution, the high concentration of color chips in all our proprietary blends ensure that each floor will have wall-to-wall, consistent colorful texture throughout your garage.